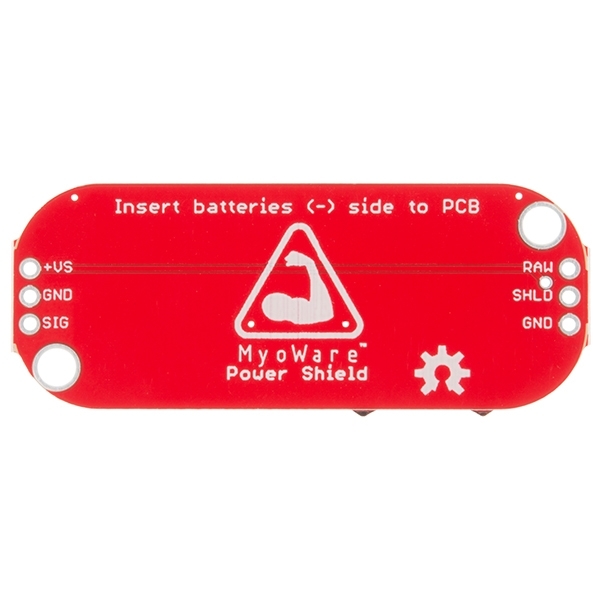 The MyoWare Power Shield is designed to take two standard CR2032 coin cell batteries to power the MyoWare Muscle Sensor. 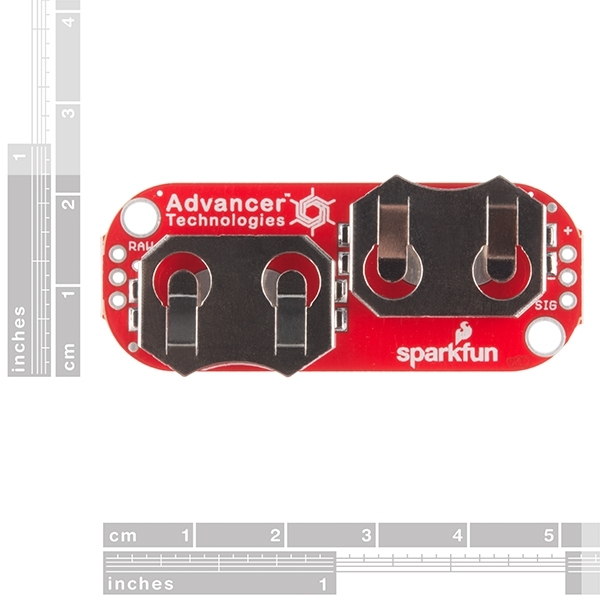 We have made this board in a way that the coin cell batteries are connected in parallel for extended capacity at a nominal 3.0V. 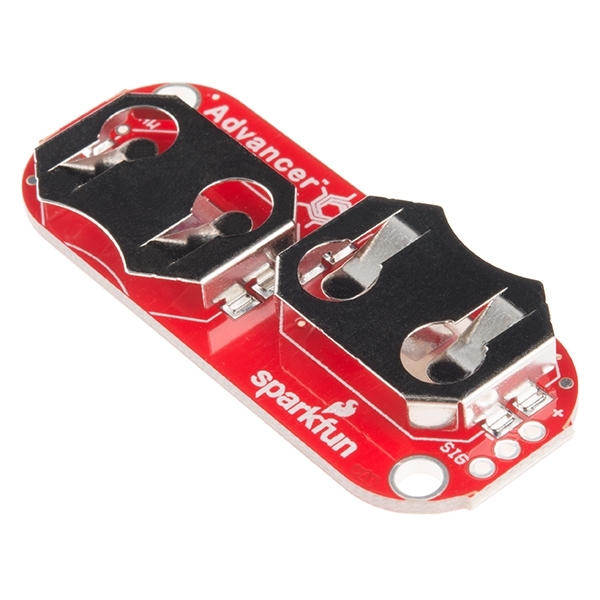 Connecting the MyoWare Muscle Sensor to battery power allows for a cleaner signal while also eliminating the possibility of creating a dangerous current path to the power grid. One thing to note is that due to the size of the batteries, the remote cable header on the MyoWare Miscle Sensor can’t be passed through. 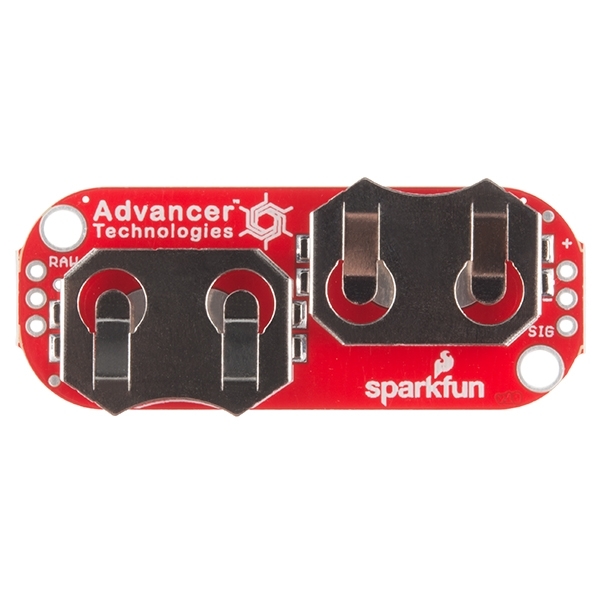 If you need access to these connections, this Power Shield will need to be stacked above the board(s) that need access.